Massages are body tissue manipulation treatments designed to relieve pain and treat certain medical conditions, while, at the same time, promoting health and well-being. There are many types of massage treatments, specially designed for helping people deal with certain health complications or prevent some diseases from affecting them. Therefore, massages are beneficial for one's health, especially once he/she is suffering from painful or uncomfortable muscle and tissue injury. Massage can have numerous benefits for a person's health. Apart from treating health problems, massage treatments stimulate and improve the blood circulation in the specific area of the body, promoting healing. Basically, the more blood reaches an area, the more oxygen will be delivered to it and the faster the recuperation and recovery will be. Additionally, massages can relax muscles and help them get rid of the toxins they contain and produce due to exertion. Since these toxins get expelled from the body once muscles undergo massaging, this procedure keeps the body safe and healthy. 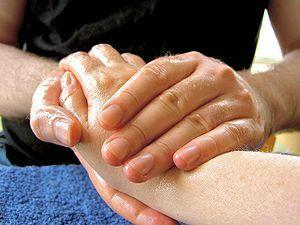 Furthermore, massages are helpful for people who have suffered injuries during accidents or sport mishaps. In fact, athletes commonly undergo regular massage treatments in order for their body to stay in a good shape and become more resistant to physical strain it gets exposed to on a daily basis. Also, through massaging, the therapist locates any knots or similar tissue problems in our body and breaks them, contributing to the decrease or even disappearance of the muscular tension and any other problems like scar tissue etc. However, before scheduling a massage session, you should make sure that you have a couple of things in your mind. Basically, you should let the therapist know if you are pregnant or have a history of heart or lung problems. Joint and skin health issues should also be reported, along with any recent surgeries or injuries you are currently recovering from. What is more, people who suffer from some kinds of mental problems are not advised to undergo massage therapy of any sorts. In order to make you massage an optimal experience, you are advised not to eat a lot of food beforehand and arrive about 10 minutes early in order to fill in all the necessary forms and rest a bit, relieving your body of tension before the process commences. Deep tissue massage is designed to remove tension from muscles and connective tissue. It is called deep due to the fact that it focuses on massaging muscles and other tissues which are located beneath the upper tissue layers, reaching deeper into the body. This form of massaging is usually recommended for patients who have been bothered by persistent pain for a long time or those who have been injured. This massage form is carried out by pressing certain parts of the body and holding the pressure for a while. Therefore, the therapist may use different body parts in order to apply the pressure, combining his/her fingers, palms, elbows, forehands and many other parts in order to reach deep tissues of the patient. Subsequently, the massage sessions of this type are commonly very intense and localized, since it would be impossible for a therapist to apply high levels of tissue pressure on the entire body of the patient. Moreover, this would be a counter-productive thing to do since it would lead to injuries and possibly health complications. People who undergo deep tissue massage are usually bothered by problems such as adhesions, blocking the circulation and leading to pain, restricting movement. In these cases, the therapist focuses on manipulating deep tissues through friction and pressure, doing away with these issues. Due to the aggressive nature of deep tissue massage, the patient may feel stiff or sore for a day or two. However, once these effects are gone and the body recuperates, the positive effects become clearly visible and noticeable. Deep tissue massage is used for treating chronic pain, limited mobility, injuries like the ones stemming from sport accidents, whiplash or falls, repetitive strain injuries like carpal tunnel syndrome, improper posture, pain due to osteoarthritis and conditions like fibromyalgia or muscle spasms. According to different scientific research, about 34,000 people found effective relief through deep tissue massage. In fact, this effect surpassed the ones coming from medications, chiropractics, acupuncture, diet or some over-the-counter drugs. Finally, keep in mind that, once your massage session is done, you are advised to drink plenty of water in order to stimulate the removal of toxins from the treated muscles, flushing out the metabolic waste. All in all, deep tissue massage is a special type of massage treatment, consisting of several well-known techniques including the Swedish, Thai and sports massage as well as the techniques for lymphatic drainage. It can help people overcome many types of injuries and health problems, promoting health and relaxation. Can i run after an hysterectomy? Ice and massage after running? How long does a Formostar session last?